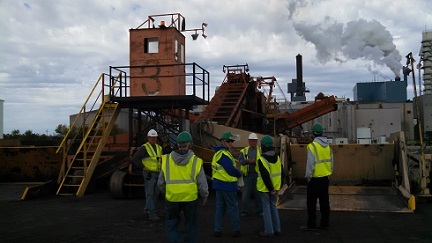 Yesterday we did employment paperwork; today we went to the Hillsboro Processing Plant for a four-hour hands–on training session. ... and learn about our job. Mary is a nursing student from Texas. 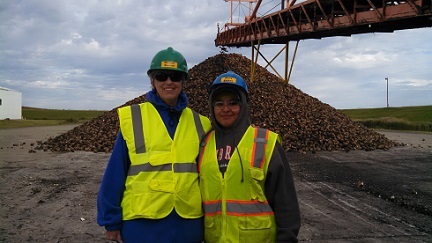 She comes to the beet harvest every year to earn money for tuition. Many of these folks are second and third generation harvest workers. This adventure will definitely be something we have never experienced before. 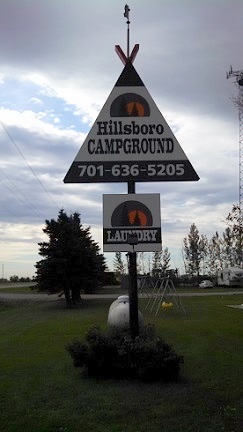 We are settled in at the Hillsboro Campground along with Herb and Pat Myers. They are directly across the street from us. Today, we spent a couple hours with the Express Employment Professionals representative at their campground "building" doing all the employment paperwork and watching safety videos. 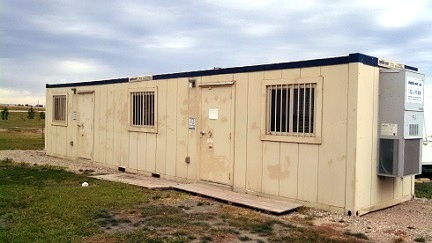 From the outside, it looks like a jail. However, on the inside it is outfitted as a meeting room/training facility. I suspect in a former life it was a tool shed. It serves its current purpose quite well. A little bit of background here. 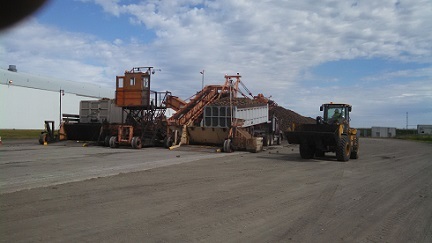 American Crystal Sugar Company (ACSC) is the primary employer in this adventure. They own and operate the facilities. 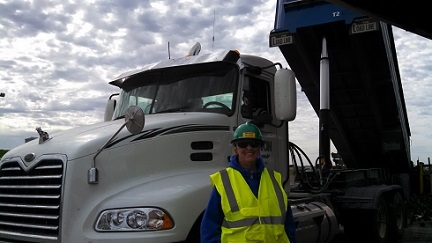 Express Employment Professionals is a temporary help agency that recruits, hires, and processes all of the temporary help needed for the beet harvest. That's us. Tomorrow we will report to the "yard" for four hours of "on–the–job–training". Then we will be off (no pay) until the harvest officially starts on Thursday, 01 Oct. Nothing like starting a job with eight days off. Although we won't be paid, our campsite is paid for. A few days ago we passed through the edge of North Dakota on our way to Hackensack, MN with a brief stop at the Flying J in Fargo. That was literally my first time ever in North Dakota. 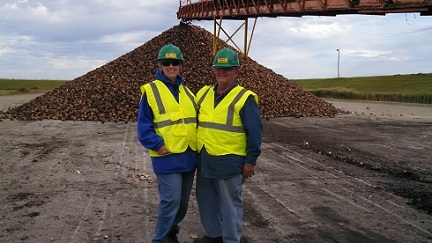 Today we returned to Hillsboro, ND to begin our Sugar Beet Harvest Adventure. So I'll really call this our first day in North Dakota. 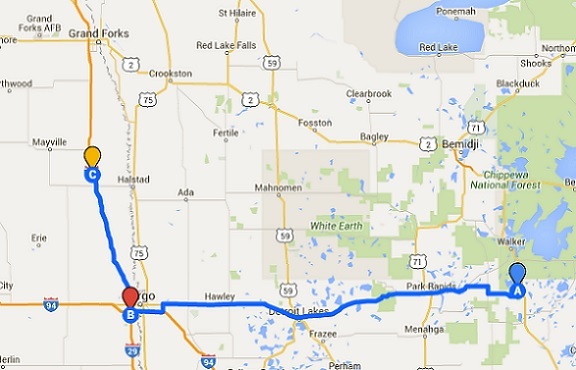 It was a short day, only 160 miles, and we caravanned with Herb and Pat Myers. It was a tougher day for them because they were finishing a five-month workamping job. 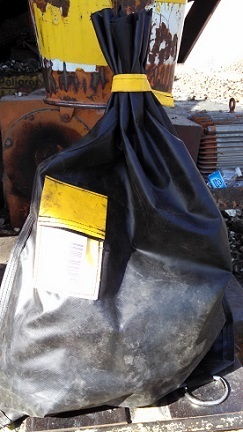 It is amazing how fast you put down roots and accumulate junk when you stop traveling. As we travel I use the app Scout on my phone for navigation. This morning it went crazy. Herb knew his way around the area, so he led the way. Scout refused to cooperate. Seems like the roads we were using to get away from Hackensack (all two lane, paved, numbered highways) were not on Scout's map. We spent several minutes driving across an empty map. Finally, we reached the major highway and Scout snapped to attention and functioned normally for the rest of the trip. Most of our trip today was west. 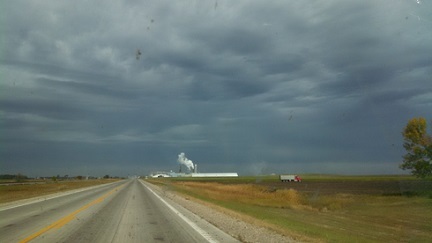 We returned to Fargo and to the same Flying J where we stopped previously. Gassing up was no problem, then we went into the Huddle House Restaurant for breakfast/lunch. Same disaster. A couple sitting next to the table we chose told us that they had waited an hour for their meal. A look around at a nearly empty restaurant with all dirty tables said, "Let's get out of here." We went across the road to the Love's truck stop and had lunch at MacDonald's. 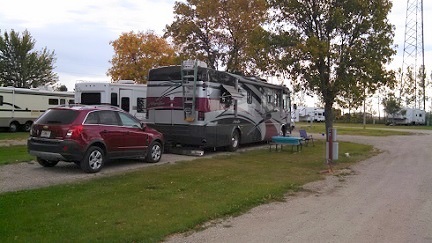 While on the road we got a couple text messages from Bill and Alicia Koegler. They arrived at their assigned destination and discovered they were not camping or working with us. I don't know what happened and we'll try to get together soon. We got to Hillsboro about 3 PM. The campground was waiting for us. Parking and setup were easy and uneventful. I like that. 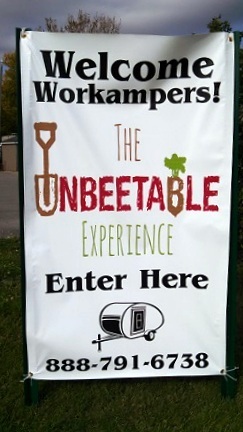 The campground manager told us there was about to be a massive influx of folks arriving for the beet harvest. We were lucky to have arrived early (3 PM?) while we could still have a selection of sites. By the time we went to bed about 11 PM, there had been no massive influx and there were still many empty campsites. After settling in and much socializing with the few beet harvest folks here, we headed out to explore Hillsboro and find a place for dinner. Checking out Hillsboro took all of thirty minutes and finding a place for dinner was easy – everything was closed. Only a Burger King and a Casey's General Store were opened. We opted for Casey's. 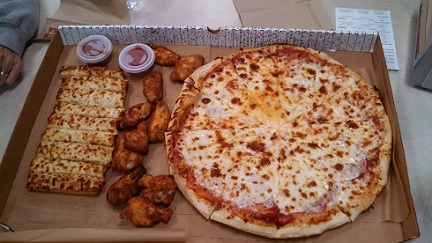 Pizza, hot wings, and breadsticks. It was OK, but we ate on napkins – no plates provided. Ahhhh, fine dining in Hillsboro, ND. 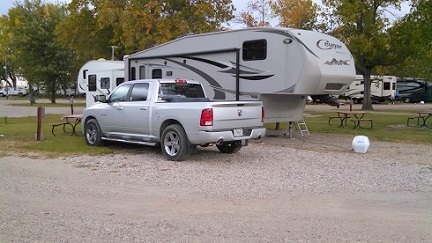 After that fine repast, it was back to the campground and my last chore for the day – getting our DISH satellite TV up and running. That turned out to be very difficult for reasons I don't understand. A very nice patient lady at DISH telephone support talked me through the trouble shooting process and we were up and running in time to catch the last quarter of the Green Bay Packers / Seattle Seahawks football game. When I shut down the TV at bedtime, I got the screen saying, "Don't touch your receiver while it is reprogramming". That took about fifteen minutes. So I guess my receiver really had its brains scrambled. Autumn is coming fast and we are now pretty far north. The furnace comes on several times a night and morning requires a jacket.